Nick Austin | Vision Research Park, LLC. 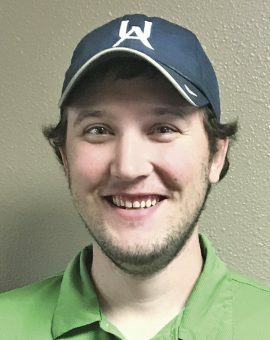 Nick is originally from Westhope, ND and graduated from North Dakota State University with a degree in crop and weed sciences, minoring in soil science and ag business. Prior to joining Vision Research Park, Nick spent four summers as a crop scout with Northern Agricultural Management in Westhope. He has been a crop consultant with Vision Research Park since 2014. Nick enjoys ice fishing, spending time at Lake Metigoshe, barbecuing, and has been a volunteer coach for Berthold’s youth football program.